occasional, formal clothing, which is worn on ceremonial and formal occasions of extraordinary significance. Includes an evening coat, a jacket, dinner jacket, coat, and ladies' evening gown. 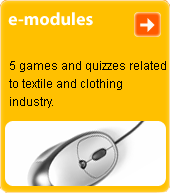 Is generally produced from high-quality textile fabrics. We distinguish between formal-, day- and eveningwear.